We are thrilled to present the second premier award to this outstanding artist of hand-blown glass, as our acknowledgement of his continual creation of breathtakingly spectacular and unique work. 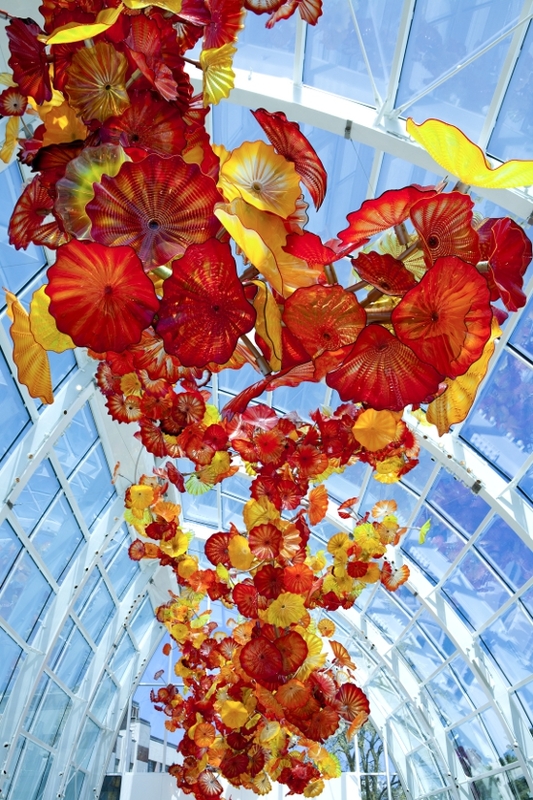 Dale Chihuly was introduced to glass while studying interior design at the University of Washington. After graduating in 1965, Chihuly enrolled in the first glass programme in the USA, at the University of Wisconsin. He continued his studies at the Rhode Island School of Design (RISD), where he later established the glass programme and taught for more than a decade. In 1968 on a Fulbright Fellowship he went to work at the Venini glass factory in Venice. There he observed the team approach to blowing glass, which is critical to the way he works today. In 1971, Chihuly cofounded the Pilchuck Glass School, some 86 miles from Tacoma, where he was born and raised, in Washington State. With the establishment of this international glass centre, Chihuly has led the avant garde in the development of glass as a fine art. His work is included in more than 200 museum collections worldwide and he has been the recipient of many awards, including 12 honorary doctorates and two fellowships from the National Endowment for the Arts. Chihuly has created more than a dozen well-known series of works, among them Cylinders and Baskets in the Seventies; Seaforms, Macchia, Venetians, and Persians in the Eighties; Niijima Floats and Chandeliers in the Nineties; and Fiori in the new millennium. In 1986, he was honoured with a solo exhibition, Dale Chihuly objets de verre, at the Musée des Arts Décoratifs, Palais du Louvre, in Paris. In 1995, he began Chihuly Over Venice, for which he created sculptures at glass factories in Finland, Ireland, and Mexico, then installed them over the canals and piazzas of Venice. In 1999, Chihuly began Chihuly in the Light of Jerusalem, for which more than a million visitors attended the Tower of David Museum. In 2001, the Victoria and Albert Museum in London presented the exhibition Chihuly at the V&A. Chihuly's lifelong fascination for glasshouses has grown into a series of exhibitions within botanical settings, including at the Royal Botanic Gardens, Kew, in 2005. Earlier this year an installation was commissioned for Harrods, for which he created the magnificent Amber and Gold chandelier. This comprises 1,400 hand-blown glass elements flown in from Chihuly's base in Seattle and assembled on site.